What are the steps you need to take to prepare your pizza restaurant or delivery business for sale? We take a look. What steps do you need to take to prepare your pizza restaurant or pizza delivery business for sale? This article considers the fundamentals, from organising your paperwork to sprucing up your premises and their contents, as well as offering advice on business valuation and going to market. There are also tips for anyone looking to sell a pizza franchise. 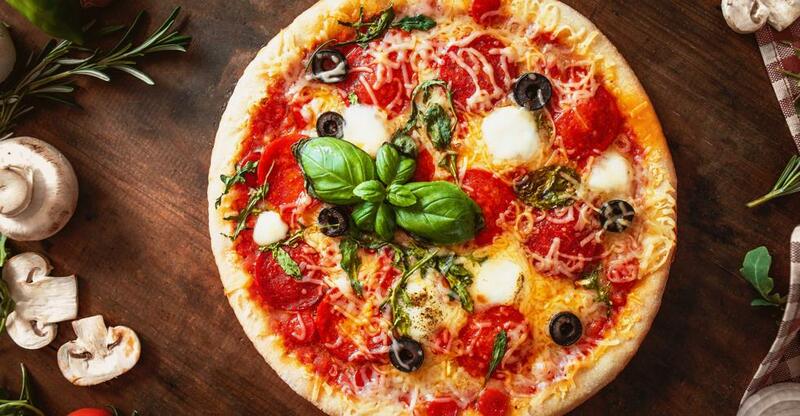 So, is now a good time to sell your pizza restaurant? According to 2017 figures from IBISWorld, there should be no shortage of willing buyers: revenue had reached $4 billion and was set to continue rising with pizza far and away Australia’s favourite takeaway. Once you’ve decided to sell, you should prepare your business for sale before putting it on the market to maximise your chance of finding a buyer. This is the time to spruce up your business, inside and out. Take a step back and look at your business from a buyer’s perspective: what can you do to make it a more attractive proposition? Clean, repair or – if financially worthwhile – replace furnishings and kitchen equipment. A deep clean of the premises is a must and improvements to decor (again, without spending too heavily) can make a huge difference. You need to get the basics right. Get your paperwork in order. Ensure your licences are up to date. If your premises are leased, ask your landlord about the status of the lease – when it expires and if there’s an extension option – to remove any barriers to a smooth change of ownership. Do you own a franchise? If you own a pizza franchise, read your franchisor agreement to understand any stipulations governing the terms of your exit. It’s worth appointing a qualified, experienced franchising accountant and lawyer to help you navigate the process. One expert in valuing restaurants says “it’s difficult to compare a particular cafe or restaurant with any other, which makes comparing capitalisation multiples almost useless. Each business needs to be analysed on its own merits. Trevor Monaghan of Climax Business Strategies, a chartered accounting firm that provides independent business valuations across Australia, continues: “The profits need to be adjusted back to a real profit and the capitalisation multiple needs to reflect the risks and potential growth of the business based on a thorough analysis. It would be tough to do this alone, especially if you’re still making and delivering pizzas six or seven days a week. Getting a lawyer, accountant and/or a business broker to guide you, preferably with hospitality experience, will ensure that all boxes are ticked and all legal bases covered. Once you have everything in order, it’s time to go to market. Advertise your business with BusinessesForSale.com and you’ll be visible to 1.5 million buyers a month, commission free. Bear in mind that your staff and loyal customers might not like a change in management, so you might prefer to keep the sale discreet. However, weighed against this is the fact that one of your own staff might be a contender for buying the business. You might approach contacts in the industry who you think might be interested – perhaps entrepreneurs with multiple, thriving outlets. When negotiations result in heads of agreement, your buyer will then want to conduct due diligence on your business to be sure they’re buying a strong asset. They might visit your restaurant posing as customers so it’s vital to run your business to a high standard at all times. Selling your business is not always an easy decision to make, but with the right team, a reasonable valuation and a spruce-up of your pizza restaurant, you’ll be in an attractive position to find a suitable buyer.